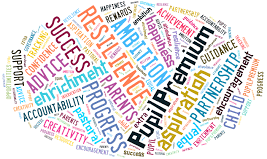 The Pupil Premium is part of the Social Mobility Strategy that aims to tackle unfairness at every stage of life with specific measures to improve educational outcomes from the foundation years to school and into adulthood. The Pupil Premium is allocated to schools based on the number of pupils who are known to be eligible for Free School Meals (FSM). Since 2012, this has also included pupils who have been eligible for FSM at any point in the previous six years. Funding is also supplied for those children in local authority care and those who have parents or guardians working for the British Services. This enables funds to be available for your child for personalised support and resources to help them achieve the best possible start in their life and to make an impact on their academic attainment particularly in English and Mathematics. Working Tax Credit run-one paid for 4 weeks after you stop qualifying for Working Tax Credit. You will not be entitled to Free School Meals if you receive any element of Working Tax Credit or if your annual household income (as assessed by HMRC) is greater than £ 16,190. Click here to complete the online registration for Free School Meals. Each year, the school plans its use of the Pupil Premium grant to ensure that it is relevant to the needs of the school and its pupils. At the end of the academic year, the school reviews the impact of the pupil premium against the objectives laid out in the plan. We use a range of information to review this such as pupils, parents and staff views and end of year attainment and progress data. We monitor the impact of our spending carefully to ensure that it is closing the gap between children who receive the Pupil Premium Grant and those who do not. We are pleased that over the last year the gap has closed in many areas and is narrowing in others. Below is the schools report on the planned use and impact of the PPG for the last academic year. If you can not see the above document, download it here.